Investing in a vacation home can be a rewarding way to invest your hard earned money. There are several things to think about before you make the big purchase such as where it should be, what you want, and who can use it. If you are feeling overwhelmed with options check out this guide to picking the perfect haven. Finding the perfect spot for your weekend bungalow can sometimes be tricky. You must consider where you live, how far you are willing to drive, and what terrain is best for your new getaway. First and foremost, you should reflect on the distance between your everyday home and your vacation home. If it is more than two or three hours away, how often are you willing to make the trip? The amount of usage you get out of the house may depend highly on the distance of the journey. It is equally as important to analyze the accessibility of the area surrounding your vacation home. 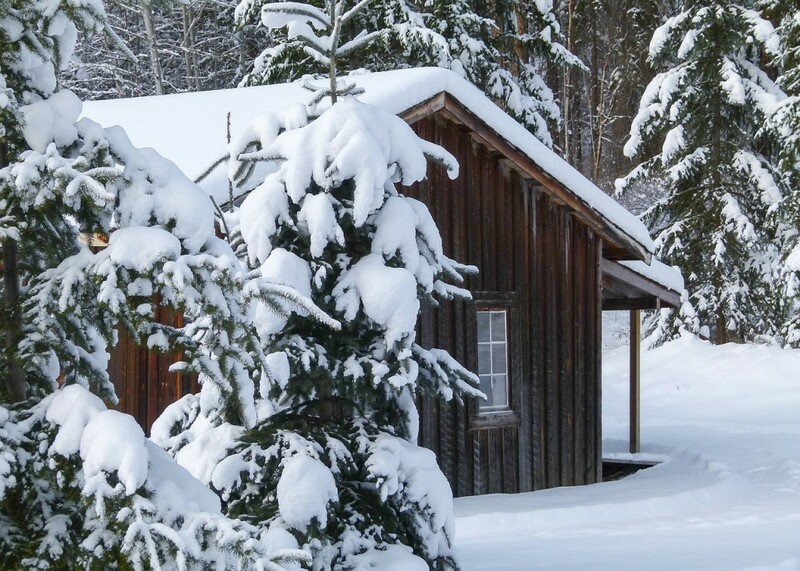 Whether you want a cabin in the mountains or a beachfront oasis, understanding obstacles like weather or seasonal popularity can make or break your dream escape. Before you commit, look into how accessible the house is the house during unexpected weather and how populated is the town during busy seasons? Reflecting on what kind of atmosphere you want to relax in can make all the difference in determining the right retreat. How connected am I in my everyday life? How connected do I want to be during vacation time? These are two questions crucial to determining the type of home you want to purchase. Perhaps you are the type of person who likes to escape from technology during your downtime. Or maybe you are the type of person who uses media to relax. Knowing which category you fit in will help narrow down choices when searching for the perfect vacation home. If amenities such as web browsing, television, and phone service are important to your sense of wellbeing, don’t be afraid to look into the internet availability in your desired destination. This could make the difference between undesired boredom and utter bliss. Depending on your personal preference towards technology, search for a place that incorporates the types of conveniences you either want or want to get away from. Once you have narrowed down your options and have finally found the vacation home of your dreams, it is essential to determine who (if anyone) you will share your escape with? It is possible you want it to be a personal space where people are permitted only under your supervision, or perhaps you are comfortable with your loved ones using the space separate from your presence. It is important to determine the potential availability of your new home before you make the final purchase because it will allow you to place boundaries without anyone’s feelings getting hurt. Most people understand if you consider it your own personal sanctuary. If you are comfortable with others inhabiting your home, you should consider subletting or renting it when you aren’t there. Using your house as a vacation rental can be a great way to help with the mortgage. When it comes to landscape paving, the choice of paving materials available today is overwhelming. Each paving material comes with its own pros and cons and the choice must be made carefully based on the location and usage. While purchasing paving material and designing landscape paving, there are various factors to take into consideration. Understanding and exploring all available options is the only way to make an informed decision based on the setting and budget. Stone – Stone is the most popularly used paving material for landscaping. Stone is extremely versatile and durable and is available in a variety of shapes, colors and sizes. While purchasing stone for paving, it is important to keep a few aspects in mind. If your area experiences extreme weather conditions or if the area you are paving has to support a lot of foot traffic, it is important to choose stones that are at least two inches thick. For such areas, it is best to avoid flagstones with honed or polished finish and rounded cobblestones as such surfaces can be slippery in wet weather and can be hard on ankles. The best thing to do is to choose stones that offer texture or grip with a natural cleft, flat surface. It is also a good idea checking for color of the stone when wet as some stones may show up bolder patterns when wet while some others could change color when exposed to moisture. The most popularly used landscape paving stones include sandstone, gravel, slate, granite and limestone. 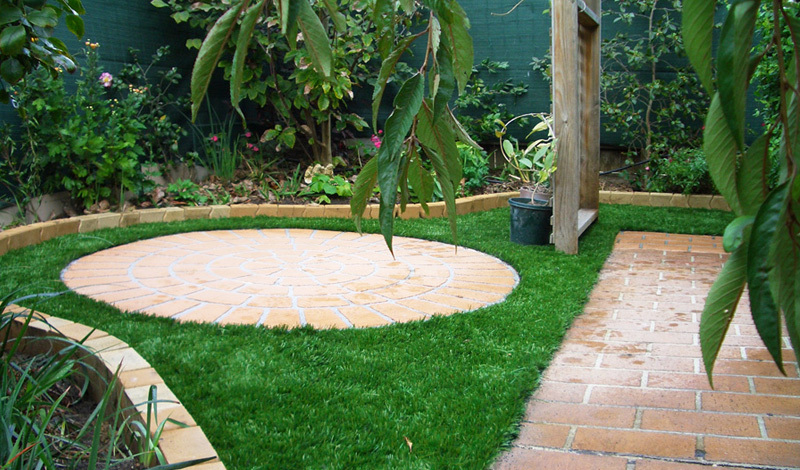 Sandstone – Sandstone is popularly used for paving as it is easy to work with. Sandstone is also very affordable as compared to other types of stones like granite. This stone is available in plenty and is offered in many different colors and shapes. Gravel – Those who are on a stringent budget choose gravel. This material is ideal for informal landscapes and lends an appealing texture. Gravel is easy to install and must be maintained regularly to avoid any weed growth. “1/4 inch minus” gravel offers a firm footing and is easy on the foot. A firm surface without shift, furrow or spill can be achieved by interlocking unsorted, angular, sharp gravel. Slate – Those who are looking for aesthetic color and texture choose slate or landscape paving. This stone is known for its visual appeal and comes in a riot of pastel color palette such as lavender, muted red and blue grey. If the landscaped area is exposed to thaw/freeze cycles and/or heavy rainfall, it is recommended to avoid using slate as this material can chip or flake under these conditions. This may lead to uneven surface which will retain water and if the stagnant water freezes in winter, may cause accidents due to tripping. Slate is ideal for milder climates and regions where rainfall is limited. Granite – Nothing can beat granite when it comes to durability and strength. This stone is offered in brick shaped pieces or cubes and is ideal for formal outdoor spaces. It comes in a riot of attractive colors ranging from grayish blue, dark grey, light grey, green, honey yellow, brown, tan, red, pink and orange. As granite slabs are very expensive, gardeners usually opt for this stone to set as decorative accents in combination with other stones. Limestone – Limestone offers an elegant and attractive velvety finish when paved as it is fine textured. As compared to sandstone or granite, limestone comes in limited colors, such as cream, pale grey, blue grey, dark grey and tan. Limestone is easy to cut into decorative shapes due to its fine texture and is ideal for paving paths and patios. If your area is exposed to acid rain, it is recommended not to use limestone as this material is susceptible to damage from such rain and can wear excessively in a short period of time. Unless you live in an area prone to serious acid rain, you can use limestone to create attractive and vibrant paving at affordable prices. Hope you get all above point keep in your mind while Designing Landscape Paving. Aerosol spray cans are frequently used by us though some of us are not even aware of their potential as a recyclable material. Most of these cans are made of steel and aluminum— both of which can be recycled. As per reports, there are around 3 billion steel cans made in the United States and (as per estimates) if every user resolves to recycle these cans then there would be extra enough steel to manufacture about 400,000 automobiles. It is important to note that aerosol cans should not be disposed of arbitrarily on landfills, after use. 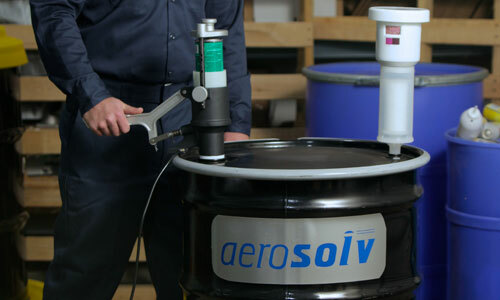 Go through the post in a bid to learn more about proper aerosol can disposal. Aerosols, in their truest essence are collections of small particles often found suspended in gas. Most recognizably, they are available in pressurized spray cans which contain products regularly used by us including hair spray, mousse, whipped cream and spray paint. So, it is not prudent to throw them off on empty landfills as they can end up hurting landfill workers. It is very important to ensure that the cans are totally empty before they are relegated to the bin. Please ensure that all the contents of the cans are drained out before they are dispensed. Keep on spraying the can unless and until it does not stop making a hissing sound. Approach your haulers and ask them if they will be accepting these cans for recycling or not. Many of us know that aerosol cans are treated as hazardous waste by many states owing to the obvious presence of propellants. Aerosol spray cans were believed to emit the brominated and chlorinated chloroflurocarbons. Later on these CFCs were banned from aerosols. Airborne CFCs are not viewed “as an issue” anymore. However, these cans still have hazardous traits which make it a bit difficult for us to recycle them. Make sure that you are acquainting yourself with these facts before dispensing them to the bin. Weigh the options you have! The area of the home that is dedicated to relaxation, TV, easy chairs, and bromance is what is affectionately known as the mancave. This space is the man’s hideaway—the area where the man can get away from it all for a few hours and enjoy the solitude of sports, movies, or even a little reality TV. While this might seem like a no-brainer, next to the couch or the easy chair, this is priority number one. The TV should be fully outfitted as well with all the works, including both surround sound and satellite TV. A great place to find all the channels you could ever want or need is at http://directtelevision.us/. From sports packages to premium movie packages, your mancave can have it all. While you may have the seating under control for yourself, what about the seating for your buddies? In order for a mancave to be complete, there must be enough comfortable seating in perfect view of the TV for all of your friends. Look for a wrap around couch or an L-shaped couch that offers plenty of space and comfort. When you’re entertaining down there, whether it’s for the big game or for a night of award-winning movies, it is essential there is a fully stocked bar. The bar alleviates having to travel to the kitchen to grab your drinks and snacks, meaning you or your friends won’t miss any of the excitement on TV. Add in a mini fridge or wine cooler to ensure the drinks are cold every time. The mancave is not just for TV purposes, although that is a main feature. If the space allows for it, add in a poker table, pool table, or foosball table to keep the entertainment flowing all night long. If the space is too small for any of these things, be creative. For instance, find a poker table that doubles as a coffee table. Or create a flat-top to place over the foosball table so that it can double as both recreation and a practical eating space. While decor might be the last thing on your mind for your mancave, it is a critical component to your space. This is the area where you can display your sports memorabilia, trophies from high school and college, movie posters, and neon signs from your bachelor days that were probably relegated to storage after you got married. Frame your signed jerseys, baseball cards, and sports magazines to make the space the ultimate mancave. Keep in mind these five must-haves when it comes to building the quintessential mancave. As the ultimate bachelor pad, the space should be fully stocked with everything you need for a perfect guy’s night of food, sports, and poker. What are the Benefits of Choosing a Recliner Chair? Anyone with difficulty sitting or standing will identify with the problems that a standard chair can pose. Having to be helped in and out of a sitting position by another person can lead to feeling dependent, and make daily life a struggle. For those who need to sit for long periods of time standard furniture does not always provide the comfort and stability that they require, and this can result in people being confined to their beds. A comfortable reclining chair could be the perfect solution to this issue, and thankfully, nowadays there are myriad furniture options available to those in need of assistance, which can help restore independence to the individual, and promote a generally happier and healthier home environment. From the comfort of a suitable chair, it is possible to enjoy many leisure activities that can become difficult or impossible otherwise, such as reading books or magazines, watching favourite television programmes or films, listening to music, and having welcome visits from family member and friends. Rise and recliner chairs are available from retailers across the country, and can be tailored to suit the specific needs of every individual. Essentially, they provide a supported, easier way to get in to a sitting or standing position. To assist with standing, the chair can tilt forwards to gently help the user on to their feet, in the process removing the problem of excess stress on the body. Afterwards, in order to return to a sitting or reclining position the chair eases slowly back, providing maximum comfort and support. 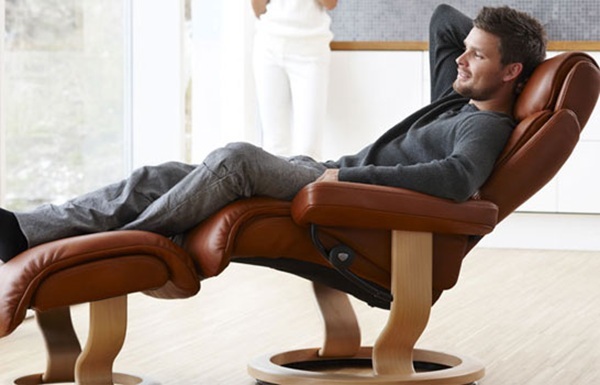 When considering the purchase of a riser recliner chair it is vital that it is suited to the individual, in order to ensure the most comfortable position. Most retailers now offer made to measure chairs, as well as other optional additional features such as pressure relief, by way of memory foam cushions, or even inbuilt massager and heat pads! Extra head rests, back support and side rests can also be added, as well as special arm ends to give extra assistance when standing up, or left-handed operating mechanisms. For those who are concerned that there is limited space in their living area, there you can have a chair which will be is specifically designed for you would like your chair situated in your lounge area in your home. As you can see, a riser recliner chair can be a transformative addition to the home of someone suffering from reduced mobility, giving the user more freedom to control their daily activities, and to enjoy the things they love to do from the comfort of a chair which supports their individual requirements. Posted on January 23, 2015 Author wiseadminCategories HealthTags Chair, ReclinerLeave a comment on What are the Benefits of Choosing a Recliner Chair? 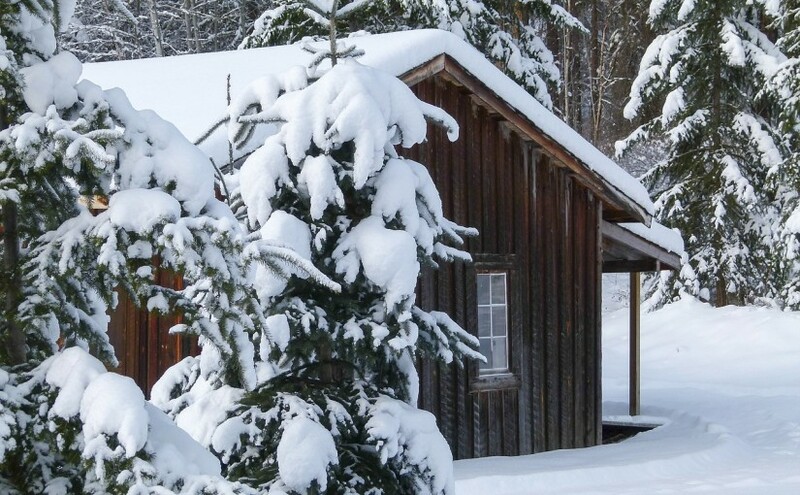 Winter is still in full swing, but many people are already starting to plan for the spring when it comes to their home and yard. During this time of year, the idea of a 3-season porch has become extremely popular. Typically, a 3-season porch is a covered porch that has some sort of completely seals walls and methods for heating and cooling. This is a very popular option instead of or in addition to an outdoor deck for people in any climate. Creating an awesome 3-season porch may sound simple, but there are a lot of different factors to consider. This type of porch needs to be comfortable not just in ideal summer weather, but throughout the spring and fall as well. This means the porch needs to be easily adjusted and flexible to meet the demands of the seasons. Here are five tips for creating the perfect 3-season porch. Natural light is why people love their porch so much. When creating a 3-season porch, everyone should try to leave as much natural light in the space as possible. Using glass wall paneling and adding a few skylights can help people enjoy the porch even more. Additionally, these things often mean that heating the porch will be less expensive in the cooler seasons. Again, people want to be on the porch so they can enjoy the beauties on nature. When decorating a porch, then, everyone should try to use as much inspiration from nature as possible. This will make the space feel more fitting and relaxed. Ideas can range from including fresh flowers to using natural green shades. 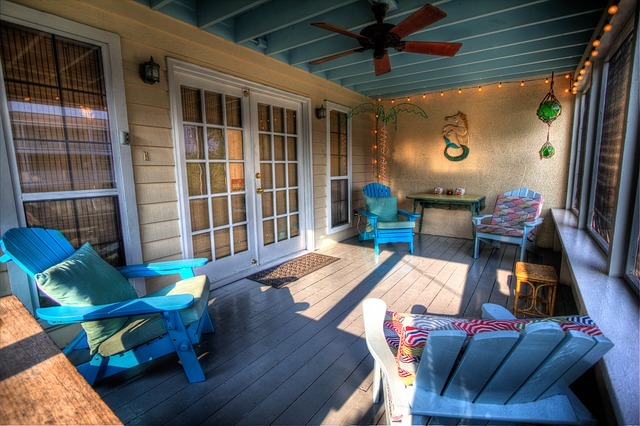 These are simple tricks that anyone can use to make their porch look more beautiful. Furniture on a 3-season porch has a special responsibility. It needs to be comfortable throughout all different climates and withstand the elements of each season. Not all outdoor furniture will be right for a 3-season porch. The furniture should be more comfortable than lawn furniture, but not too delicate to crack and break during the first weather change. The porch is not always at the front of the home, or even on the first level. Home owners should create an easy way to access their porch for everyone. Ideally, the access to the porch would involve options that allow people to enter through the home and outside the home. There should also be easy access to the kitchen for easy porch entertaining. Though looking out at nature is always a great way to relax, most people will want some other form of entertainment on their porch. Direct TV on demand is one of the most popular options. Otherwise, home owners can add gaming tables or even a karaoke stage. These fun items will make family night more fun on the porch and make everyone want to come back again after parties. If mobility difficulties are deterring you or even preventing you from using the upstairs of your house, then a stairlift could be the perfect solution for you. However, the prospect of choosing a stair-lift can seem very daunting at first, so here a few options and tips to ensure that you end up with the best possible lift for your needs. There are lots of companies that manufacture and fit stair-lifts, so make sure you shop around to get the best stair-lift for you and your home. 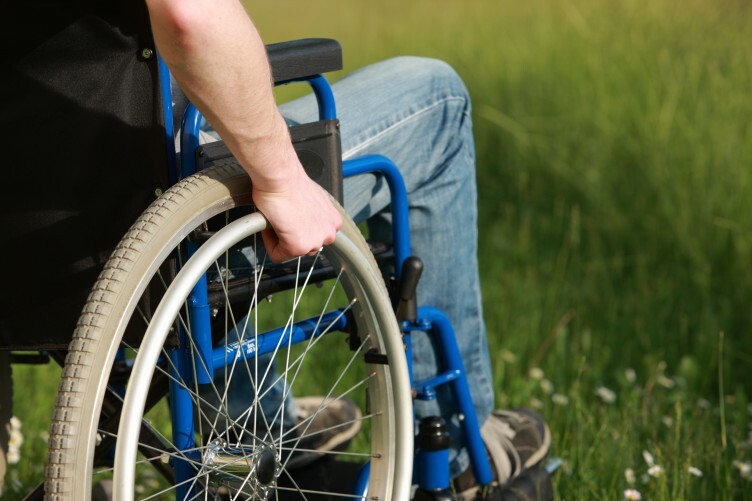 You could start by having a leaf through your local phone book to look up the nearest mobility and disability shops; mobility and disability-equipment companies often also advertise in local newspapers so you can check there too. It is always a good idea to contact as many companies as you can, so that you can be sure you are getting the best quality for the best price. Companies should be happy to give you over-the-phone information and advice on what you may need and what they can offer. In order for a quote to be drawn up, a representative from the company will visit your home to take measurements of the stairway where you would like the lift to be, and also to take some measurements from you, such as your height, leg length, weight etc. It is important that they ask you whether you are right- or left-handed as well, as this will obviously affect the controls. Safety should come first and foremost with your stair-lift, so do not hesitate to confirm that your lift is meeting the British Standard as well as the European health and safety regulations. Many lifts come fitted with a safety belt for extra security, and if you often have small children in your home then it may be worth considering getting a lift with a lock on it, in order to prevent any accidents. As well as the vital safety elements, you can choose from a range of different fabrics with which your chair can be upholstered, and some companies are even happy to paint the lift itself. If your grip is not strong, there is usually a choice of alternative, easier-to-operate controls. In addition, you can also opt for a chair with a swivel-seat, which will help when getting off the lift. The most important thing to remember when purchasing a stair-lift is that you should feel safe and comfortable, and not to be afraid to ask questions. A number of Swedish municipalities are arguably leading the world in environmentally-friendly heating. Heat and power production in such cities is combined with district heating systems to provide affordable, ecologically-sound heat for citizens. District heating systems tend to use heat from renewable energy sources, which is then piped through the city for homes and other buildings to tap into rather than using their own separate boilers. Biofuels such as wood and peat are commonly used as well as combustible household waste. Other sources of heat may also be used, such as geothermal heat from deep underground or heat reclaimed from industrial processes. These types of heating system have played a major role in the relatively high level of independence from fossil fuels that Nordic countries have managed to achieve. Altogether, around 60% of Sweden’s heating comes from district heating systems. Overall, about 85% of all public buildings and multiple-dwelling homes connected to these networks and such networks exist in all of Sweden’s towns. The birth of the Swedish district heating networks really took place in the 1950s, when many Swedish municipalities were looking into ways to reduce air pollution. They were also keen to find more efficient ways to produce electricity, and found that combined production of electricity and heat represented a significant improvement in efficiency. Helped by a culture that is generally supportive of community infrastructure, district heating took off in the following decades. Many people around the world are starting to wonder whether the international community could do well to learn from Sweden’s example. While other countries struggle with energy usage, pollution, and declining stocks of finite natural resources, Sweden has almost removed fossil fuels from its heating sector. District heating systems are also relatively easy to operate. The infrastructure can be costly and challenging to construct, but it doesn’t come with the same challenges of internationalism that might hinder other types of infrastructure such as electricity. Even those countries that do already use district heating systems may have things to learn from Sweden. In Eastern Europe, this kind of heating solution is more common than on the Western side of the continent. However, it is still largely based on coal, so while it offers advantages over self-contained boilers for each separate building it still produces large amounts of carbon and draws on finite resources. In Sweden, by contrast, the use of fossil fuels is virtually non-existent in district heating, yet the system continues to serve countless citizens well. Swedish district heating solutions have made use of renewable energy sources such as wind and solar power, but sourcing enough renewable heat through these methods alone would be challenging and perhaps impractical. As a result, a big emphasis has been placed on biofuels as a replacement for traditional fossil-fuels over the past two or three decades. The way district heating has been combined with electricity production is also something that many other district heating systems around the world lack, yet offers a significant boost in overall efficiency. This article was contributes by Prepayment Energy Solutions who specialise in prepayment energy and heat meters for multi-tenant buildings. Posted on January 8, 2015 Author wiseadminCategories GardenTags Design, Garden, Landscapes, PlanningLeave a comment on Garden Design in 2015 – Start planning now! 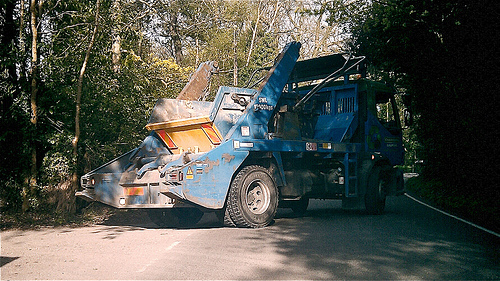 Skips are an ideal addition for any business, big or small. Unfortunate, they can be overlooked by some businesses as a disposal option. Owners may not deem them necessary, or might think that they’re not worth the financial investment. However, there are some benefits to hiring a skip you may not have thought of, staff at Leicester based company Map Waste Skip Hire talk us through some of the benefits, you can read more information about commercial skip hire in their blogpost: Commercial Skip Hire – How can skips help with business. Does your business regularly dispose of records and documents containing potentially sensitive information? If so, taking additional steps to dispose of them safely could significantly increase the security of both your business’ and customers’ private details. By hiring a skip with a locking lid, you can more reliably ensure that roving information thieves will be kept at bay. When it comes to going green, every little change counts. Does your budget not allow for any major green renovations at this time? Even something as simple as recycling can help reduce your business’ carbon footprint. By using a skip, you’re provided with ample space for recyclables, and they also give you the option to have separate skips for different materials. This makes skips an exceptional choice for businesses that handle large amounts of cardboard, paper or plastic during routine operations. If you’ve been using a regular trash bin for your business, you likely know how messy they can be. Bags can fall out and spill all over the ground, and wild animals might loot them and leave the contents strewn about. Furthermore, trash bins can be easily tipped over or damaged. There are none of these problems with skips. Because of their height and design, bags will stay securely inside of the container, and wild animals often find them too challenging to enter. Plus, they can’t be knocked over, which means no more trash spills. The superior durability of a skip means that it’ll outlast even the best trash bin. Their steel construction means they’re not easily damaged or dented. Even if a vehicle backs into a skip, significant damage to the container is unlikely. Furthermore, a special coating of paint helps discourage rust and corrosion. Best of all, hiring a skip is simple. Just look in your phone book or go online to search for a skip hire company in your area. In most cases, you can call or email to arrange the type and size of skip you’d like and when and where to have it delivered.